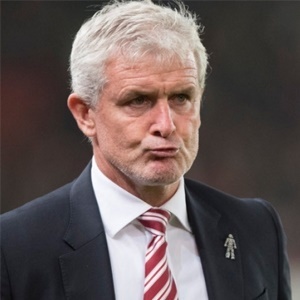 Cape Town - Stoke City manager Mark Hughes was left fuming after a key moment in the defeat to Liverpool went against his side on Wednesday night. In the 39th minute of the clash, Reds goalkeeper Simon Mignolet brought down Mame Biram Diouf with Liverpool 1-0 ahead. Hughes saw it as a red card offense but the referee only pulled out a yellow for Mignolet, leaving the Potters boss perplexed. “That’s the key moment in the game from our point of view. The one thing you want from the referee is to get the big decisions right, and in my view he didn’t," Hughes said after the game, according to the Mirror. “I don’t understand why the officials can’t see it for what it was. If Mignolet doesn’t wipe out Mame Biram, it’s a tap-in, it’s 1-1 and then game on. And that was at a time when we were in ascendancy, asking questions. Liverpool went on to win 3-0 after Mohamed Salah netted a brace in the last 15 minutes to add to Sadio Mane's 17th-minute opener.